Today's Image of Mars is a north-looking view of Iani Chaos, the source for the huge outflow channel, Ares Valles. The features that you see in this image were created by enormous amounts of ground water that erupted from an underground reservoir when it became ruptured by geologic faults. 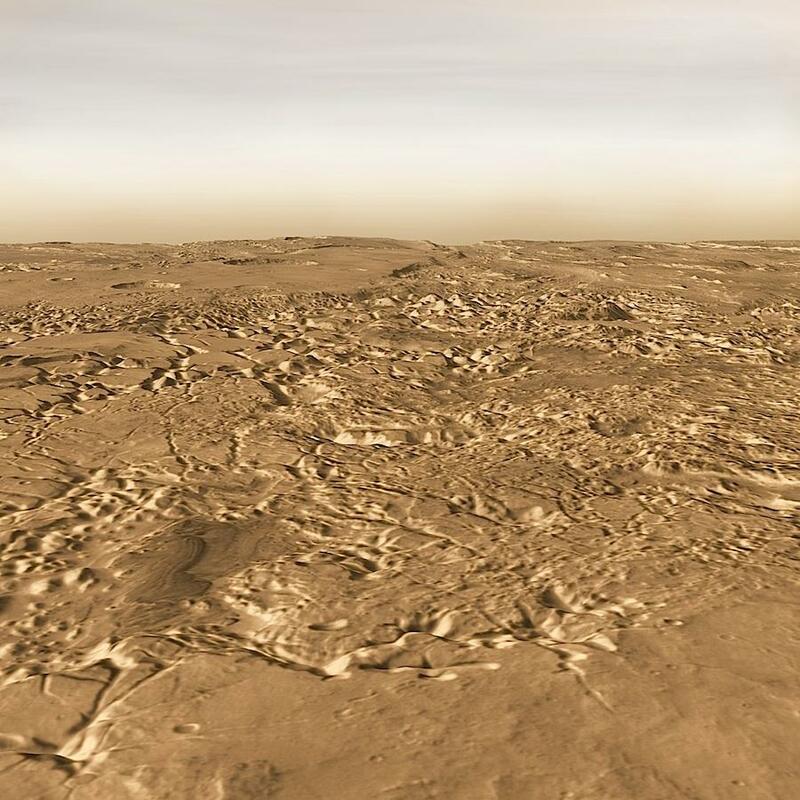 Iani Chaos was considered a candidate landing site for Mars Science Laboratory because of the large role of water in its formation. Two Mars orbiters (Mars Global Surveyor and Mars Express) have found mineralogical evidence that there was once an abundance of water in Iani Chaos. They found hematite and gypsum in the area, two minerals that are only known to be formed in the presence of an abundance of water. Clicking on this image will take you to the original article on floods in Iani Chaos by the THEMIS team.